As 2015 comes to a close, we'd like to take this time to look back on some of the great projects and activities we managed to do this year. We'd like to thank all of our followers for sticking with us and hope you continue to follow along with all of our homebrewing, scrap welding, and other adventures. 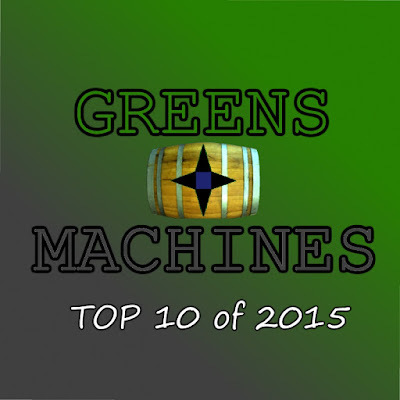 Without any further delay, here are the selections for the Greens and Machines Top 10 list of 2015! After waiting 2 years to acquire the materials to make this, I finally was able to brew this honey based beverage. It turned out extremely potent. After downsizing my garden from my first moving experience after college, I desperately needed to reexpand my garden to achieve sufficient tomato production. 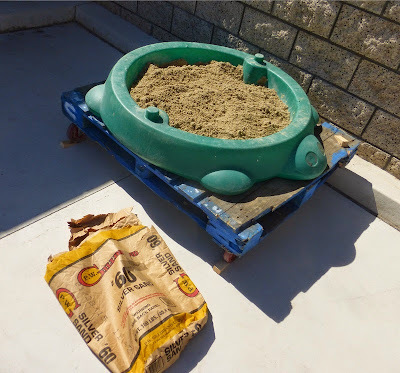 After getting an incredible deal on some bentonoite clay, and playing with sand, it's time for some big boy casting. 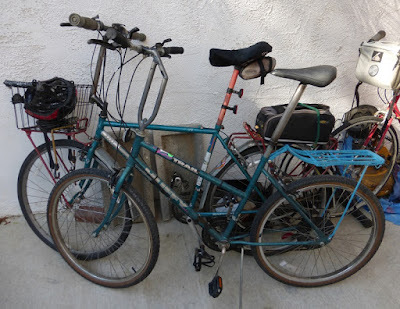 I modified my bike's handlebars to make them higher, and was so satisfied with the result, that I did the same to a $10 bike from a rummage sale. Unfortunately, the first one cracked after 9 months of service, which shall be repaired in 2016, stay tuned. 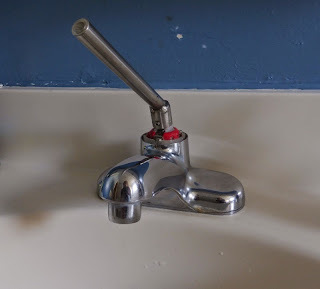 After falling victim to the existence of a plastic sink handle, I get my redemption by fabricating a new one from stainless steel. After expanding and relocating my garden to my new house, I received some more grapevines. This allowed me to expand my vineyard in hopes of creating a house wine sometime in the future. The vineyard will likely be expanded again later this year to include a few more vines. After settling into my new house, I was able to replicate and improve upon the success of my 1 and 2 gallon batches from the old house. BIAB in a bucket was proven to work with 5 gallon batches using >10 lb of grain. This was also the perfect holiday brew to share with friends. Nobody knew failure could taste so righteous, and I'm not talking about the Chinese restaurant oil. After successfully doing 1 gallon batches of brown ale at my house, the scale up to doing a 2 gallon batch not only led to increased output of tasty homebrew, but also gave me a new technique for BIAB batches. I was able to scale that up for 5 gallon batches later in the year. 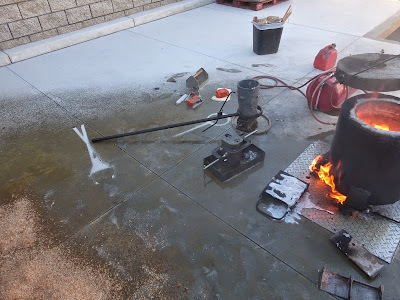 A superb machining project to learn how pathetically helpless we are without electricity. Which project of ours was your favorite this year? Did it make the list? What amazing things should we try doing next year? Leave a comment below.